the churchyard sapling – MostlyAboutBeer…….. There is a crabapple sapling in the grounds of St Albans cathedral that succeeds in stealing the limelight from its giant larch and beech neighbours. I don’t know when it was planted, but it’s still just a sprat. I took some photos of the fruit around this time in 2016 when I was writing a post about having a predilection for sour flavours. This year, I kept walking past it in its final flush – reminding myself I need to bring the camera. 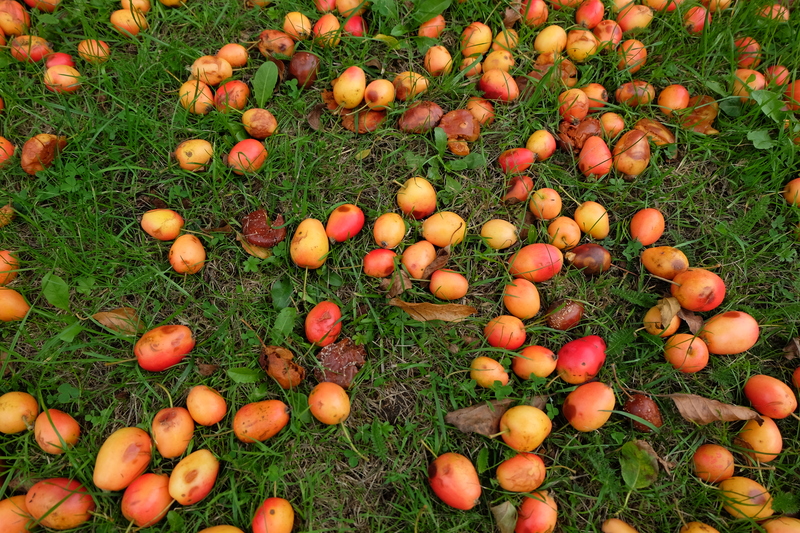 The crabapples have already started to fall. Like the fruit itself, there’s a narrow window in which the view is at its most palatable. It comes in late summer/early autumn – an eyehole aperture in which to align and take the perfect shot. The crabapples, leaves, yews, lichen-gilted tombstones, sward and evening sky conspire in a haunting chorus of colour. It’s numinous – even for an atheist like me. This year, I missed this biting point yet again. My best effort – ad-libbed from an iPhone – is what heads this post above. This looks to be my last autumn in St Albans and it’s causing me grief. It’s a city I’ve been in love with since we moved here in 2011. Unfortunately the “we” no longer exists as a unit. This commuter town is an expensive one Londoners move out to. That was our backstory too. Having to uproot and to move again has made me realise something more in keeping with this blog: the importance of pubs in my life. They’re where I got to encounter pretty much everyone I know in St Albans. Today, I travelled out to a town in north Hertfordshire to stake out some of the areas that have property for sale to get a feel of place. There was a cluster of tidy new build homes on the edge of town, and I trudged to them through the pouring rain from the town centre – my street map got soaked even though I was suckling it against my gut under my coat. The buildings ended abruptly. I then traffic-dodged over a roundabout. Farmed countryside opened before me. I left the town behind and the cluster came into view on the brow of the hill. I gained on it and I poked around its cul-de-sacs. It seemed quiet. It seemed pretty. But there was no pub. There was a single corner shop that looked respectable – a place where I could amble into bleary-eyed of a morning and purchase the Times, some firelighters and half a pint of milk. I then walked around the terraces. It was deathly quiet. It seemed all the inhabitants were crouched behind their sofas holding their breath. 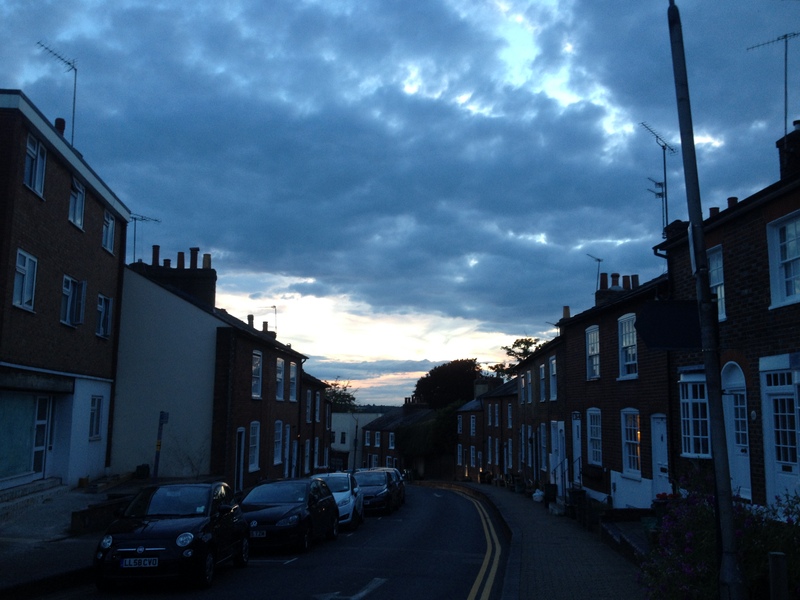 I’ve realised that being near a pub – even if it turns out not to be my favourite – is essential to me. It reminds me I’m still in the country I was brought up in. And I’ve lost it before. From my pebble-dashed terraced house in Llanberis, north Wales where I was raised, I didn’t find a community again until I moved to St Albans. That’s a gap of about three decades. I had neighbours in Hendon north London, but we shared nothing apart from our building, postcode and bin sheds. I recall walking into the nearest pub – the Polar Bear. I was confronted with the sight of about thirty little girls dressed identically around a long table. It was a Bat Mitzvah celebration. Confused, I started to back out but the barmaid flung me a “what can I getcha, love?” in as perfect a London accent as possible. This was before beer geek days when my default was the Guinness. A few months later the pretence was abandoned completely and it turned into a kosher fried chicken joint so closely caricatured on Nando’s I’d be surprised if they weren’t taken to court. When I left Hendon, most of the pubs were boarded up. The Greyhound survived and became my local. The Claddach Ring was the go-to place for the purchase of narcotics or for body enhancement – knee caps are overrated, after all. Just down the road from my current stake-out is Letchworth Garden City – a town of endless roads and crescents, communal gardens, pretty houses and blocks of flats without break, without shop, without pub. This quaker-designed temperance city is enough to drive you to the bottle. I currently live (not for much longer) on a street where every neighbour knows each other and takes in each others’ Amazon deliveries when we’re out. We sign for each other – what more beautiful and romanic a sentence is there in the 21st century? That’s community for you – it isn’t a rose-tinted myth. There is genuine comfort in knowing that you can clonk the front door shut behind you, tuck the newspaper under your armpit and make towards your home from home. Out of earshot, multiple doors are similarly creaking open and unloading their tenants onto the pavement – the retiree, the young couple, the student, the blue collar worker. 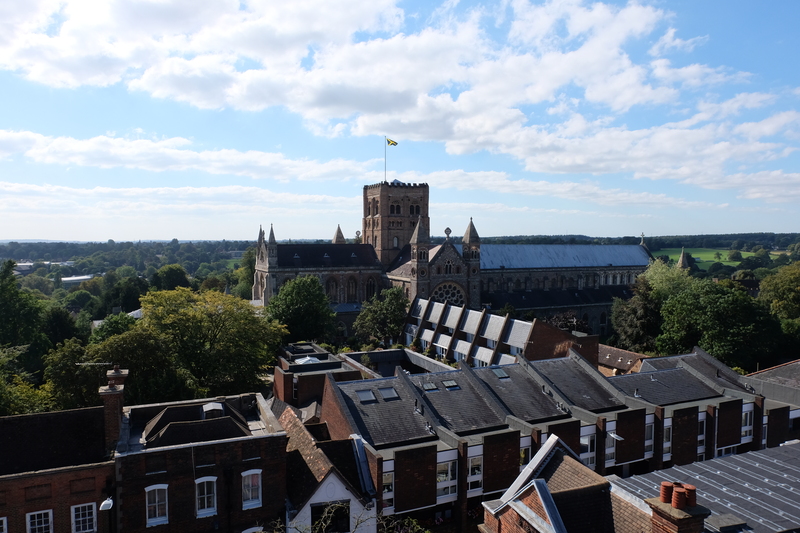 I’m really going to miss St Albans. I hope one day to return. But this experience was only lent to me. I wish I was the person about to buy our tiny house. I was once. There might be a wider life lesson here from trying to immortalise the young crabapple tree in its prime in the abbey gardens. Seize the chance. Don’t let the colours fade. I am looking everywhere. The Land of Liberty p&p is one of the pubs I need to get myself on a coach trip with the codgers to visit. Just let me know when that RPA’s ready!